Expand the value chain by facilitating the procurement of products and services. PRISM AQ is not a procurement enterprise system. It assists compliance officials with the procurement process. AQ facilitates four distinct phases: Planning, Procurement, Evaluation, Award. Annually, plan your procurement forecast and diversity program goals. 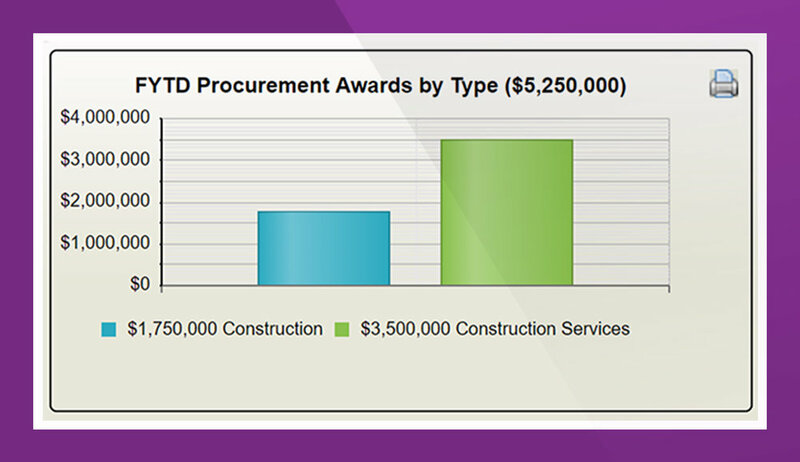 Determine what contracts will be awarded, what suppliers are available, what program goals to set and what outreach activities will be executed. Create an annual planning survey and send it to the departments for feedback. Track and monitor all procurements by stage, plan for participation in pre-bid meetings, release notification, and goal-setting. Employ industry leading practices to generate Goal-setting Models and “What If” scenarios. Obtain an initial goal recommendation based on the bid scope of services. Conclude the goal-setting process by selecting the preferred goal and communicate it to all associated parties. Receive an AQ display of the sub plan or GFE request of every bidder. 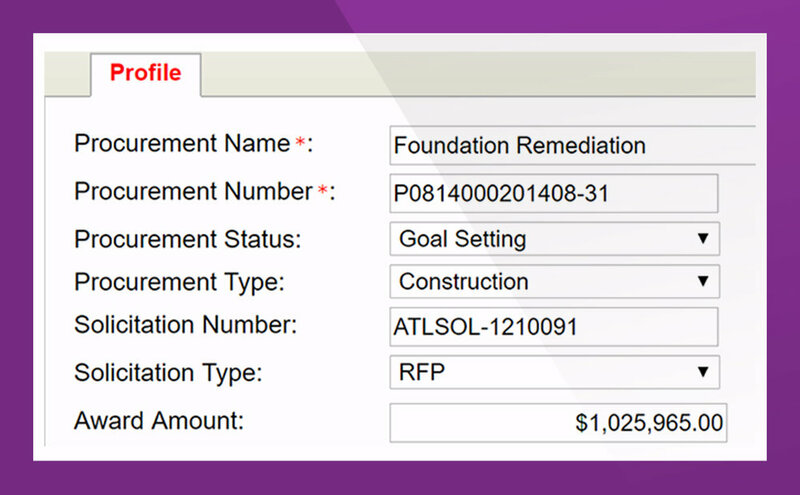 Analyze the scope of work, the role of the subcontractor and determine if commercially useful functions (CUF) will be performed. Communicate your recommendations for bidders’ program commitments. Achieve planning, goal setting and “what if” model, bid evaluation, and publish procurement for vendors to see.